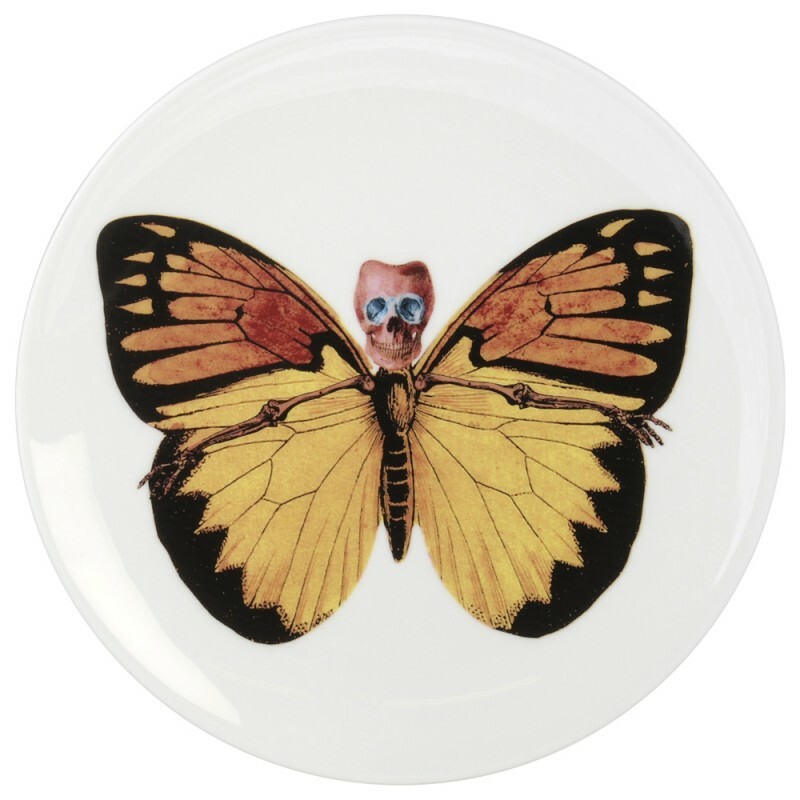 At La Maison Couture, we have this stunning Lepidoptera Croceus ceramic Plate is decorated with complex, multi-layer, screen printed and hand applied lithographs with accents of 22kt burnished gold. Equally at home on a table, a wall, or display. These exquisite plates are as much a piece of art as they are functional objects. The Lepidoptera Croceus Pate is designed by The New English brand and available at La Maison Couture.